The Magic Comprehensive Rules document has been updated. The last version, for January 25th, 2019, can be found at Wizards website. You can read Eli Shiffrin's Ravnica Allegiance Update Bulletin here. The Magic Judging at Regular REL document has been updated. The last version, for January 21st 2019, can be found in Wizards' website. You can see Toby Elliot’s post about the changes in his blog, here. The Magic Infraction Procedure Guide has been updated. The last version, for January 21st 2019, can be found in Wizards' website. You can see Toby Elliott’s blog about the changes for the Ravnica Allegiance release here. 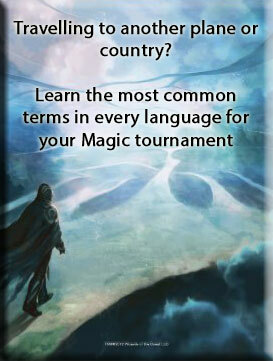 The Magic Tournament Rules has been updated. The last version, for January 21st 2019, can be found in Wizards' website. You can see Toby Elliott’s blog about the changes for the Ravnica Allegiance release here and the article on the Tournament Rules release notes by Scott Larabee here.